Tempo Frame is an excellent traveling companion!This clock/frame combo conveniently and compactly folds up. 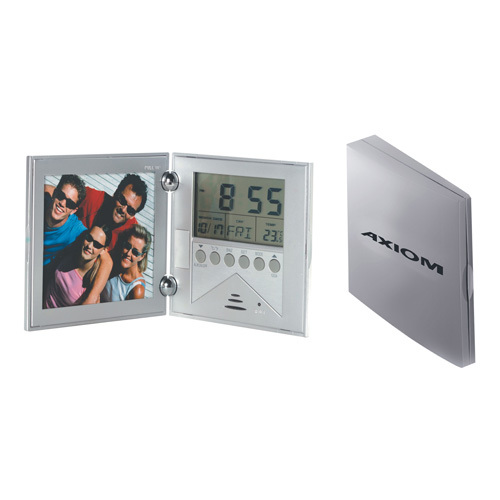 This item features the time with alarm and snooze, date, day and temperature. The Tempo Frame has durable ABS construction which completes the piece. The frame holds a 3x3 picture.